Sound design, Content writing, Book design, Concept Creation, Visualisation, Story boarding, Animation and Game design. This project is an exploration and interpretation of what music means to me. Music is nothing but pure science but the experience we derive is far above the limits of explanation that science can give and so is animation. 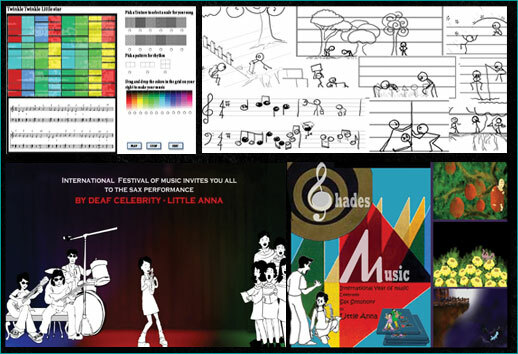 Thus Initial explorations included using animation as a tool in imparting music as educational curriculum or combine the creation of art and music on a common platform. Final short film is about a deaf girl who learns to define music, in her own words as she journeys through her memories and experiences of learning music.